Releasing July 1 is “Dear America: The Royal Diaries” from Genius Products, produced by Scholastic. Her’s a tale that revolves around the tru life stories of three real princesses – Cleopatra, Isabel and Elizabeth I. Have you ever wondered what life is like for a real, live princess? 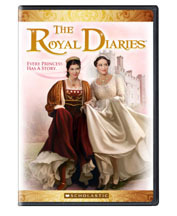 This film gives you some insight into the adventures, struggles and responsibilities of being part of a royal family while still being true to yourself. For late elementary and middle schoolers. 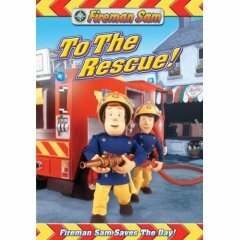 Lionsgate and Hit Entertainment will release Fireman Sam: To the Rescue on DVD July 1, 2008. The title includes five episodes of the series. The Fireman Sam series made it original launch in the UK, and subsequently premiere in the US on PBS Kids Sprout in fall 2006, where the series continues to air daily. More meddling kids coming our way this summer as Warner Home Video lets go of Shaggy and Scooby-Doo Get a Clue! Volume 2, on DVD July 8, 2008. The release features 4×22 episodes of the TV series Shaggy and Scooby-Doo Get A Clue, which airs on Kids’ WB on the CW. Allumination Releases Bamboo Bears: Forest Adventure on July 8 with stories about three friends who are on a mission to save the planet, one endangered species at a time. For preschoolers. Meet Tomato Sawyer & Huckleberry Larry – two friends homesteading along the banks of the mighty Mississippi River whose names are reminscent of two young boys from literature that you may be familiar with. Tom & Huck look forward to owning their own land, building a home and opening Huck’s Jerkey Land and Tom’s Tax Service. But everything changes when they meet a mysterious stranger who is on the run and trying to find his mama. From Veggie Tales on July 15, perfect for early elementary students. Veggie Tales: Tomato Sawyer and Huckleberry Larry’s Big River from Genius Products. July 22 offers up ESSN – Ernie’s Sports Show News! All your favorite Sesame Street friends are at the top of their game. Join The Count as he plays golf and races a car in the Transylvania 300. Watch Prairie Dawn as she shows off her soccer skills and then joins Dominique Dawes for a little gymnastics. Then, don’t miss Grover and Vince Carter of the New Jersey Nets explaining “short” and “tall.” And who but Elmo could beat Venus Williams at a game of imaginary tennis? For preschoolers from Genius Products. 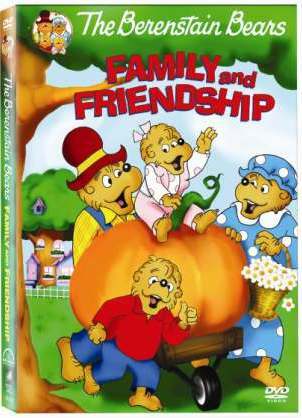 The end of July brings Berenstain Bears: Family and Friendship from Sony. Take a trip deep into bear country to discover where bad dreams come from and how giving is the other end of receiving. Share the cool lessons learned from new neighbors, and why growing up should take it’s own sweet time. Mama, Papa, Brother and Sister invite you to share the bonds of family and friendship in these lively everyday adventures with the Berenstain Bears. Perfect for preschoolers. This entry was posted on Monday, July 7th, 2008 at 1:00 am and is filed under Uncategorized. You can follow any responses to this entry through the RSS 2.0 feed. You can leave a response, or trackback from your own site.